but this is not one of those times. 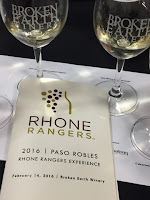 We have attended the Paso Robles Rhone Rangers event for a number of years and have always enjoyed the friendly atmosphere and the great comradery that seems to run through all the wineries that participate. 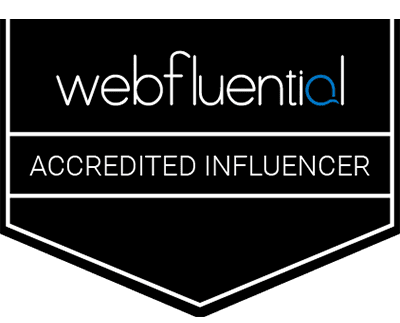 New and old, large and small, there is definitely the attitude and behavior that supports the rising tide raises all boats philosophy. 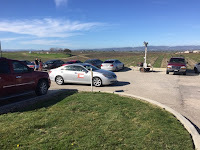 This year the event was again held at the wonderful Broken Earth Winery. This is an amazing facility and provides a great setting for this event. This year we were also lucky enough to attend the seminar prior to the grand tasting. 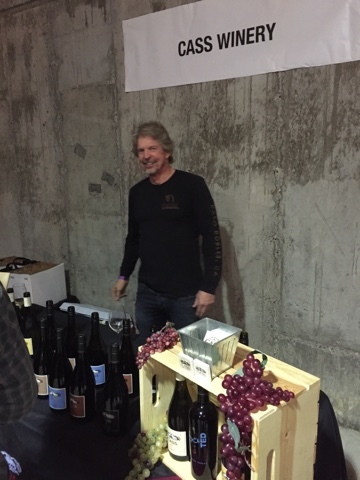 There are a number of reasons we enjoy coming to this tasting every year but first and foremost is great wine and this year was no exception. 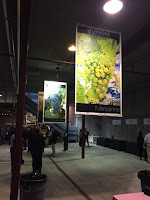 The seminar was a series of tastings with information from the winemakers or owners. 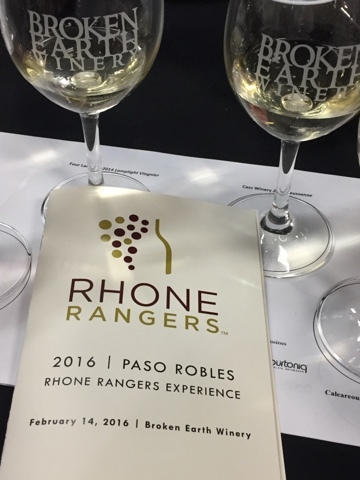 We started of with white wines and the first was a crackin Rose from Halter Ranch and beautiful Viognier from Four Lanterns. Next up it was a lip smacking Roussanne from Cass Winery and we finished off the whites with a Blend from Calcareous. Truly lovely wines that engaged all the senses and checked all the box's and were as far as we could tell very much enjoyed by all. Our favorite child of the group was the Roussane from Cass Winery. 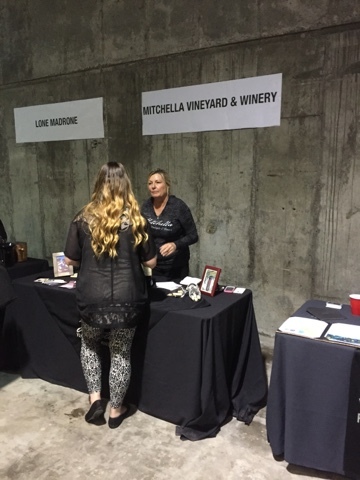 We then had the pleasure to taste our table sponsors wine. 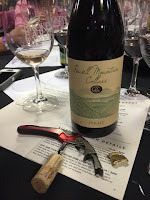 A lovely Viognier from Powell Mountain Cellars. Next up was the red wine lineup. Each wine was unique and a great example of the varietal. 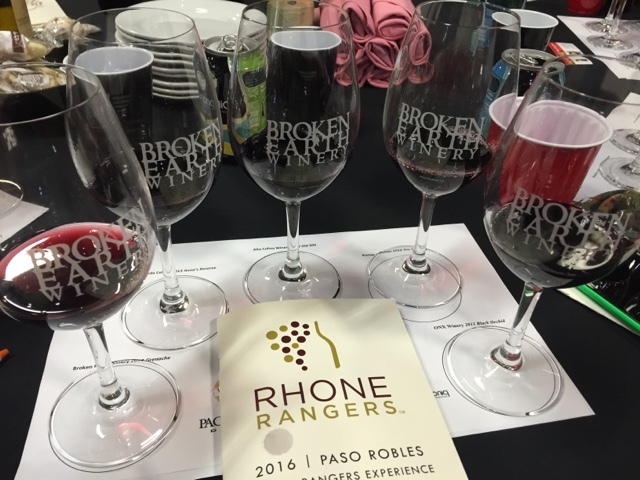 We had a 2012 Broken Earth Grenache, a 2013 Adelaida Mourvedre, a 2012 Alta Colina Syrah, a 2012 red blend from Pomar Junction and a 2013 ONX winery Petit Sirah. Wines of balance and intrigue and we had no wine left in any glass. Our favorite child from this group was the ONX Petit Sirah. Then for a little icing on the cake was a very nice 2010 Syrah again from our table host Bill at Powell Mountain Cellars. Thanks for the share Bill, very nice stuff! We then enjoyed a lovely lunch with a glass of Bills Powell Mountain Cellars Syrah and some great conversation. In to the great big barrel rooms it was to taste like the pro's we are. 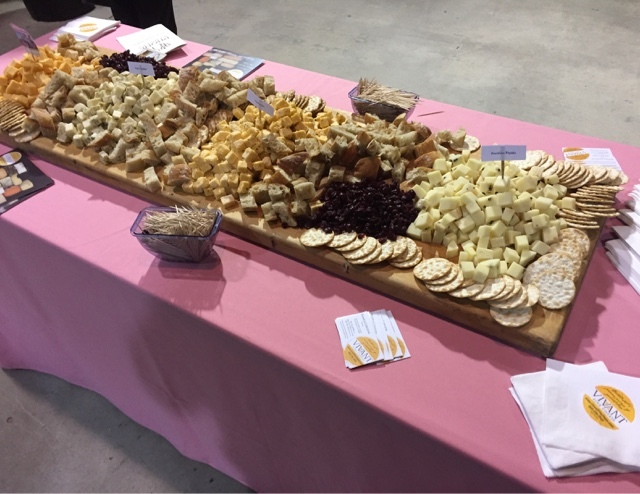 Heading in is a combination of excitement about what we will taste and apprehension about the fact we cannot get to them all and we may miss out. We are not good with missing out! We dove into checking out a bunch of the white wines first and were stunned by the consistently good wines. 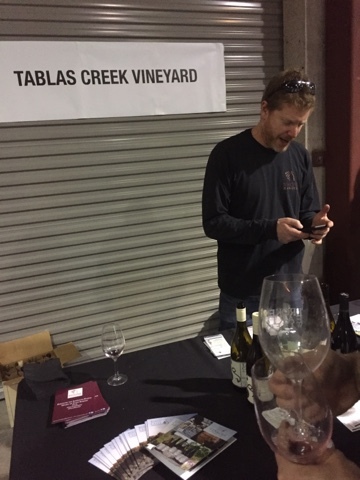 You / we, don't often think of Paso Robles and white wine, but trust us they have a plethora of good ones. We then moved quickly onto the reds and went straight to a couple that we use to set the bar. 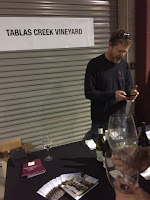 First up was Tablas Creek who consistently are the standard by which others are compared to. 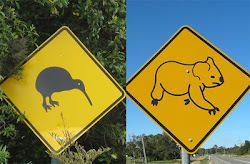 Without disappointment they were as one would expect. Truly lovely wines that are true to varietal and style as well as wines of sublime balance. There were many favorites as we tasted through the wines. We tried to get to as many as possible, but alas we did not taste them all. As such its not really fair to call out our favorites as we may not have actually tasted the best of show, but rest assured there were way more excellent wines than there were average ones. This event is a must not miss. Great value and great wines. 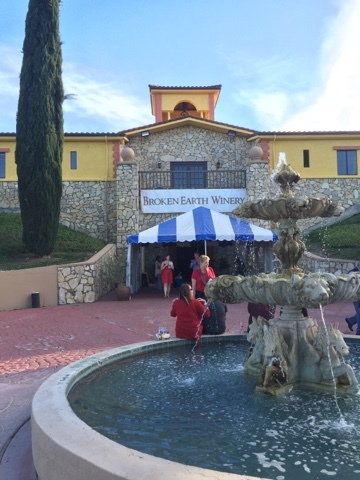 The folks at Broken Earth Winery do a fantastic job of organizing the venue to make it a stellar event. 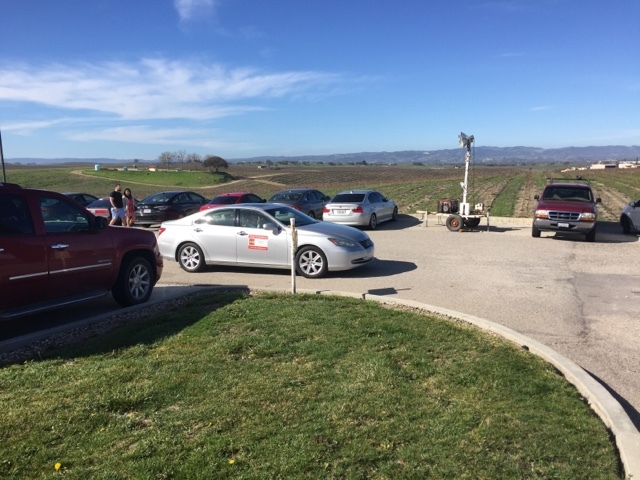 We give this event a 'must do' if anywhere near Paso Robles. Thanks to Tony Quealy and Jason Haas for accommodating us and getting us to this wonderful event.